Headline – this is the space that visitors see first, after your name of course. The headline should feature keywords that describe what you offer. Summary – use this area to provide details on your specific brand. This is where you list the types of services you provide and what you are offering potential clients. 2. Personalized URL – Create a personalized URL for your LinkedIn Profile. Use keywords or the same name you use on other profiles that identify your brand. 3. Skills and Expertise – As you add your professional experience, don’t forget to add something more personal like human skills, abilities and characteristics. 4. Don’t forget your blog – Providing a link to your blog makes your profile more attractive to anyone viewing your profile. Remember when adding a link to your blog not to use LinkedIn’s default of “My Blog” but use the “Other” option so you can use keywords that relate to what your blog is about. The same is true for any of the three websites you highlight on your profile. 6. Groups – Joining groups is important. But adding to the discussions in groups is even better. Contribute…Join…draw people’s attention to your own brand. 7. Utilize other accounts – Use your Twitter account and blog to add to your own LinkedIn profile. You can share your relevant Tweets by adding #LI in front of your post on Twitter. Also adding select tags on blog posts makes them apparent on your LinkedIn profile. 8. Add connections – The more connections, the more opportunities you have to market your brand. 9. Videos and Slideshare – Add videos of events or information you want to promote. You can also add slides of a presentation you recently gave using Slideshare. These items will markets you as an authority in your field. 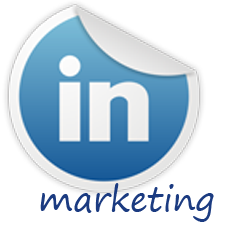 Use your LinkedIn profile to market your brand by making your profile stand out. Using these tips can supercharge your profile and provide a positive experience as you market your brand.